Brief Candle Press, 9781942319160, 232pp. Gabriel is a simple sailor, doing the bidding of his Captain and King, when he is swept up in a storm that changes his life in ways that he could never have anticipated. Carlotta yearns for her lost home, and is searching for her lost husband, but both remain elusive in a world that has been turned upside-down by forces far outside of her control. When the storm that is Governor Bernardo de G lvez breaks over them both, neither will ever be the same -- and nor will their world. 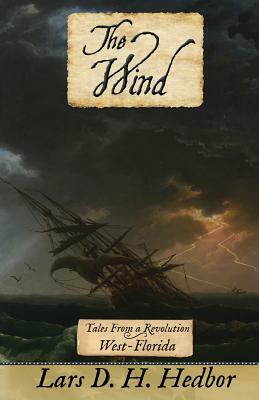 The Wind is the standalone West-Florida novel in the Tales From a Revolution series, in which each volume explores how the American War of Independence unfolds across a different colony. If you like stories such as Alexander Hamilton, or you've ever wondered how the Revolution looked from an outside perspective, you'll love The Wind.